Update, Jan. 2, 2019, 3pm: Irvins has apologised for this incident, is recalling products and is offering refunds. Details here. Instead of the usual anatomy-less fish skin one would come to expect, they were greeted with a stiff four-legged reptilian creature. As you can see, the lizard appears to have been deep-fried, possibly along with the salmon fish skin. The woman’s brother immediately crafted a letter of complaint about the salted egg surprise. 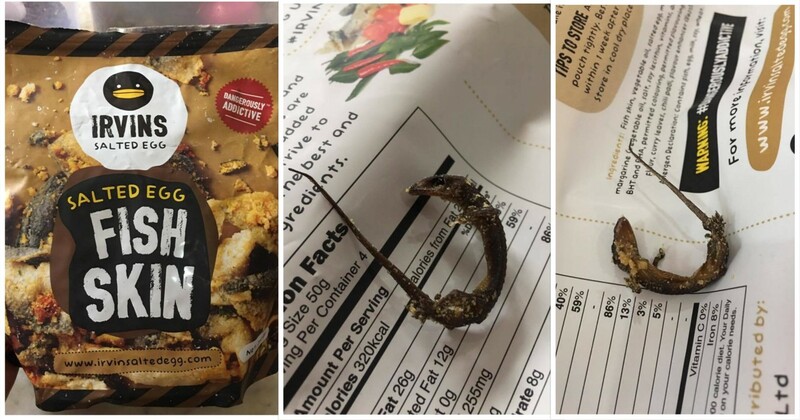 Holloway, who is based in Thailand according to her Facebook profile, also dismissed the idea of the lizard dropping into the packet. Which brought up a terrifying possibility. Although maybe it’s a special promotion?